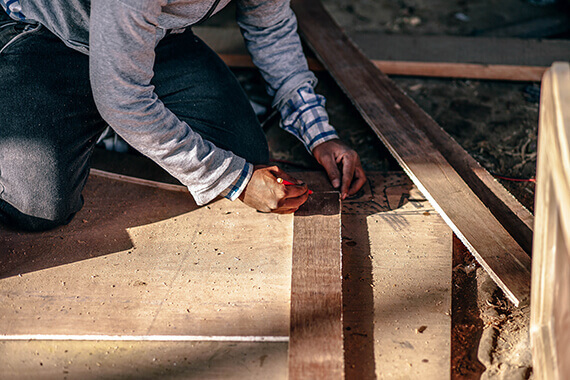 The Canadian Mortgage and Housing Corporation (CMHC) released a plan this week to change its requirements for individuals who are self-employed to obtain Mortgage Financing. This is great news, as according to the CBC , Self-Employed individuals consist of 15 percent of the Canadian population. What Were The Old Rules? Canada’s other two Mortgage Insurers, Genworth Financial and Canada Guaranty, were the go-to insurers for self-employed mortgages, as they were somewhat more lax in their requirements for self-employed mortgages. The two insurers allowed individuals to use a certain percentage of their income reported on Line 162 of individuals’ T1 Generals as qualifying income (depending on industry). Under these guidelines it was possible for someone who was self-employed to obtain an insured mortgage (a mortgage with less than 20 percent down payment). However, the main requirement was that individuals be able to show two years worth of tax returns in order to qualify. You could have a thriving business, with rapid income increases, but if you did not have two-years of tax-returns you still needed a 20 percent down payment. This delayed the process of getting a mortgage for people who were self-employed, or made the requirements so stringent that it was near unobtainable. The main and most important difference is that CMHC will not require two-years of tax returns in order to qualify for a mortgage. This will speed up the process of getting a mortgage for those who are self-employed, enabling them to enter the housing market earlier. This policy is meant to attract more people into go into business for themselves, as it breaks down one of the obstacles to getting a mortgage. CMHC will also take into account an individual’s history in the specified industry (such as previous work experience), as well as other factors such as education, cash savings, and previous education in field. While this makes getting a mortgage somewhat more complicated, ironically it also makes it relatively easier. This is great news for people who are self-employed! Guidelines were far too strict in the past, forcing people with thriving businesses to either wait two years to become homeowners or make them gather a 20 percent down payment while everyone else was able to use 5 percent down. Mortgage Lenders are likely to get more aggressive in attempting entice business owners with lower mortgage rates and special programs. Given that the mortgage lenders will have their loans insured by CMHC (meaning if individuals default the loss to the lender will be minimal if not non-existent) they are likely to aggressively pursue self-employed individuals for mortgage loans. Enter the plug for my services – I work with over 67+ mortgage lenders, so please do contact me (Call or Text 519-860-2102) to find out which lenders are offering the lowest mortgage rates and best mortgage programs for self-employed individuals. In the short term, probably early next year, we are going to see a flood of new home buyers who are self-employed entering the housing market. Given the lack of supply that has characterized 2017 and 2018, an increase in demand for housing is going to lead to a further increase in housing prices. This new injection of home buyers will likely start to stabilize in 2020-2021, as the new rules will have had time to take their effect and the number of individuals begins to stabilize. The new requirements for self-employed individuals seeking a mortgage will definitely help many people who would otherwise not qualify, but do expect to see a corresponding rise home prices as more and more people are now eligible for mortgage financing.